Shoptalk launches European retail-event in Copenhagen. Shoptalk, which organizes the most important U.S. event for innovation in retail and ecommerce, announced $2 million in venture capital funding to support the launch of Shoptalk Europe. Shoptalk also announced the first group of its expected 250+ world-class Shoptalk Europe speakers. 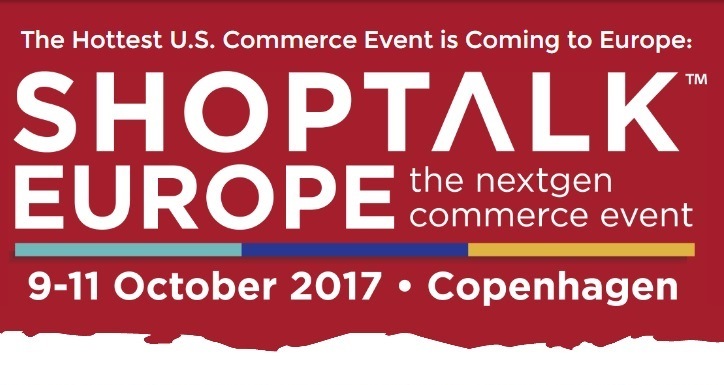 Shoptalk Europe will be held at the Bella Center in Copenhagen on October 9-11, 2017. The investment was led by New York-based Primary Venture Partners and included participation from San Francisco-based Commerce Ventures as well as individual partners at Bain Capital Ventures and New Enterprise Associates (NEA). The total funding raised by Shoptalk now exceeds $5 million. Shoptalk Europe is the first large-scale pan-European event focused on innovation in retail and ecommerce, and the evolution of how consumers discover, shop and buy all of their physical goods, from grocery to fashion and everything in between. It brings together leaders from established retailers and brands, disruptive startups, leading technology and Internet companies, venture capital investors and other key stakeholders. Shoptalk Europe expects more than 2,000 attendees at its inaugural event from all of Europe, all ecosystem stakeholders and all industry verticals who will come together to learn, network, collaborate and evolve. Shoptalk and Shoptalk Europe were created by the founders of Money20/20 and Money20/20 Europe, the largest fintech events globally and in Europe. Shoptalk organizes the world’s most important events for retail and ecommerce innovation. Held annually in both the U.S. and Europe, Shoptalk events represent unprecedented gatherings of individuals and companies reshaping how consumers discover, shop and buy. Each event provides a platform for large retailers and branded manufacturers, startups, tech companies, investors, media and analysts to learn, collaborate and evolve. The next Shoptalk will be held on March 19-22, 2017 at the Aria in Las Vegas, followed by Shoptalk Europe, which will take place on October 9-11, 2017 at The Bella Center in Copenhagen. Brembo: What is racing for?